Four rare Venetian fancy disk glass beads in excellent condition from the early 1900's. 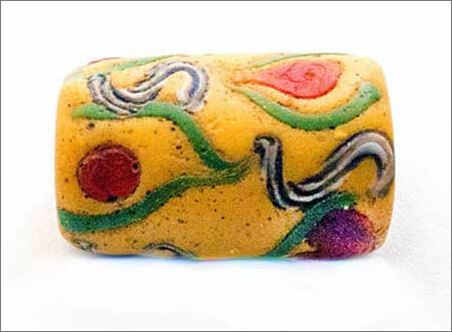 The beads are approximately 10-11 mm in diameter. $20. 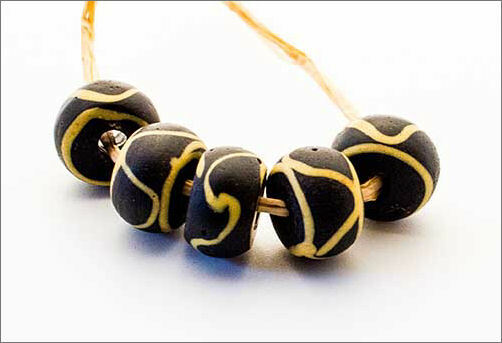 Five black Venetian glass beads with trail decoration used in the African trade in the early 1900's. The beads measure 14 mm in diameter. $11. 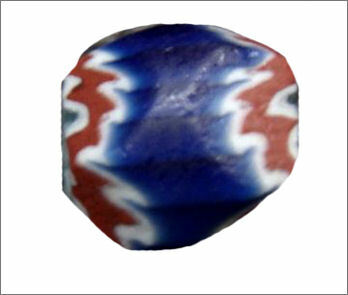 Rare first generation seven layer faceted chevron bead from the Spanish Trade. It was made before 1590. It is in excellent condition and has 18 points, which is rare. It is 7 by 8 mm. 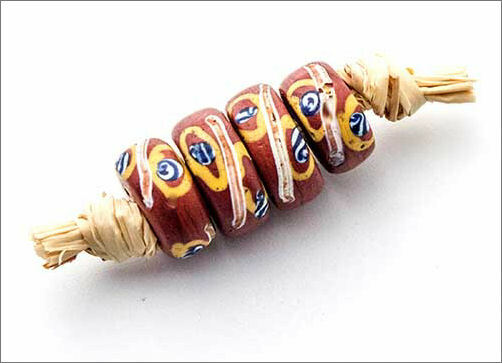 Chevron beads were brought by the Spanish to South America in the 16th century. Many of the first generation chevrons are found in the north of Peru. $45. Beautiful antique Venetian Fancy bead from the African trade in great condition.The bead measures approximately 8 mm in diameter and 16 mm in length. $9. 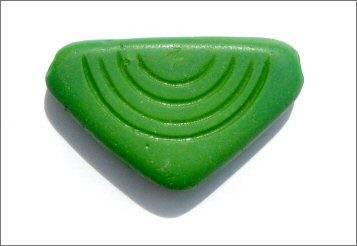 Wonderful green antique Conus shell bead in very good condition. 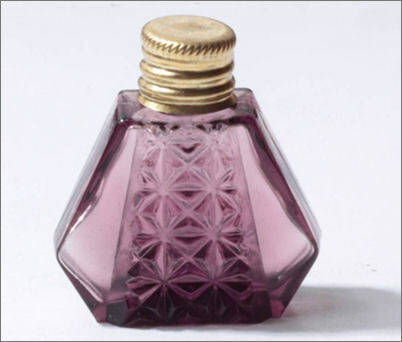 Used in the African trade from the late 1800s through the early 1900s. $18.